Baan Yamu Residences comprise villas and serviced apartments catered to the traveller who is searching for a retreat that offers several recreational amenities. 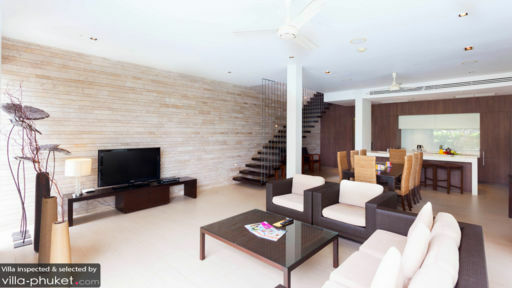 In Cape Yamu, Phuket, the residence offers a two-bedroom garden apartment with spacious interiors and a fully-equipped kitchen. There are several communal facilities available to guests including restaurants, bars, fitness room, 50-metre swimming pool and many others! Guests can stay here with their families or friends, explore the neighbouring islands of Phuket and head out to indulge in watersports! The two bedrooms at the Baan Yamu Residence are super spacious and furnished with double beds. There is ample wardrobe space in the bedroom for you to store all your belongings easily and comfortably. The all-white interiors create a larger space for you to relax in and at the same time create a calming ambiance in the bedroom. The contemporary interiors will put you in a slumber and will relax you instantly. Both bedrooms have en-suite bathrooms with hand-held showers and rain showers. The contemporary interiors of the apartment blend seamlessly with luscious nature outdoors including the sprawling gardens of the residence. There is a 50-metre common swimming pool for all the guests, which is a nice and relaxing spot to relax in, beside the pool or two swim laps. As you make new friends and enjoy your tranquil time, you could even head to the fitness room for a workout. The apartment offers direct access to the garden, making it your own private woods, a calming space where a cup of tea is the perfect energy boost to start off your day! The modern living area at the Baan Yamu Garden Residence has been furnished with plush, white couches that face a flat-screen TV, along with a DVD player for your enjoyment. As you have movie marathons with your loved ones, enjoy a view of the lovely gardens outdoor. The luxurious space caters to guests in a way that provides them the best of comfort in an extremely relaxing spot. The privacy and calm afforded by this apartment cannot be overlooked as it is the key to a great holiday experience. There is a dining area within the living room great to enjoy piping, hot meals with friends and family as you relish the view or watch some TV. The kitchen is the most striking with a fully-equipped and well-furnished layout. You have everything you need here from refrigerator, microwave, to coffee machine to ensure that your stay goes by smoothly. The residences at Cape Yamu ensure that your stay is a memorable one with ample recreational facilities to make use of. There are restaurants and bars that remain open all day for you to visit, the clubhouse, fitness room, golf course, and many more amenities are accessible to you. The staff takes care of upkeep and management of the property and you also get 24-hour security! 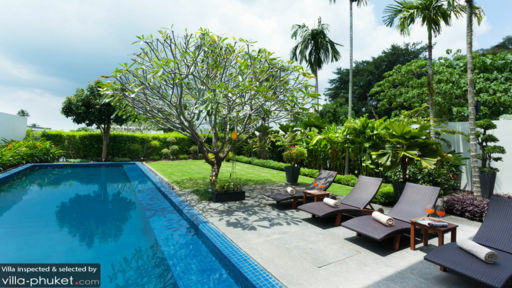 The property is located on the tip of Cape Yamu peninsula with stunning views of the Andaman Sea. There is so much to do around here and the rest of Phuket that you will be spoilt for choice. Visit nearby island like Phi Phi Islands to explore more of the place, head to the National Parks to acquaint yourself with the local fauna, and once you’re all tired out, you must spend an evening drinking and dancing at one of the beach clubs while watching the sunset!